Miu Miu MU 03QVA is a Semi-Rimless frame for Women, which is made of Acetate. 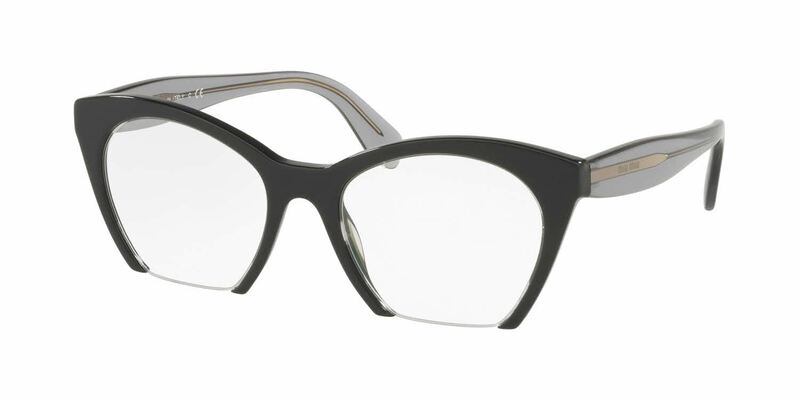 The Miu Miu MU 03QVA Eyeglasses feature the following logo: Miu Miu on temple. Miu Miu MU 03QVA Eyeglasses come with a cleaning cloth and protective carrying case. I'm very glad I purchased these. I'm already receiving loads of compliments. The initial set that frames direct sent me had odd coloring on the frames. The customer service was wonderful, I was taken care of and received a different pair all within the same week!